We often appreciate big, grand and outstanding things but we tend to forget that actually small things can also be joyful and fun. Usually even more than the big things. All we have to do is to notice them and let them touch our heart. 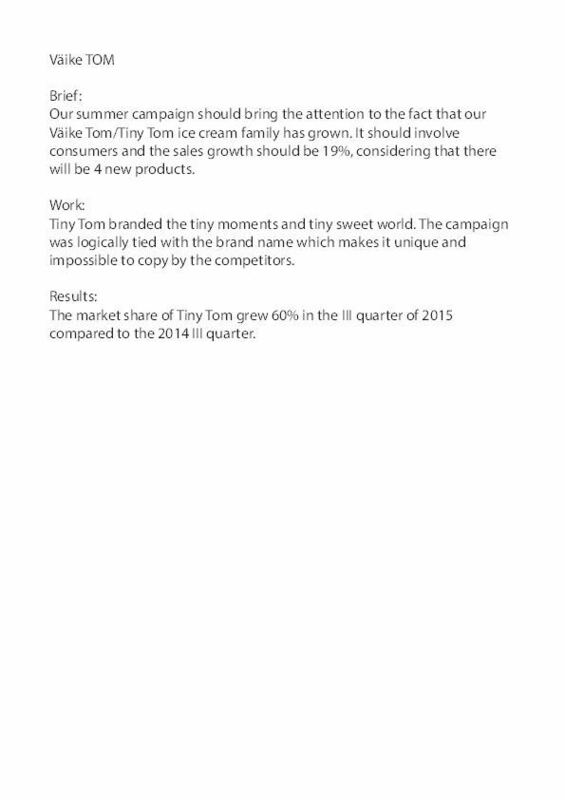 Ice cream Väike Tom/Tiny Tom is small but can bring much more joy than most big things. The world of the Tiny Tom is a world, where you can’t tell if it is a real or a fantasy world. Are the people, houses, cars real or toys? Tiny Tom – enjoy the tiny moments.